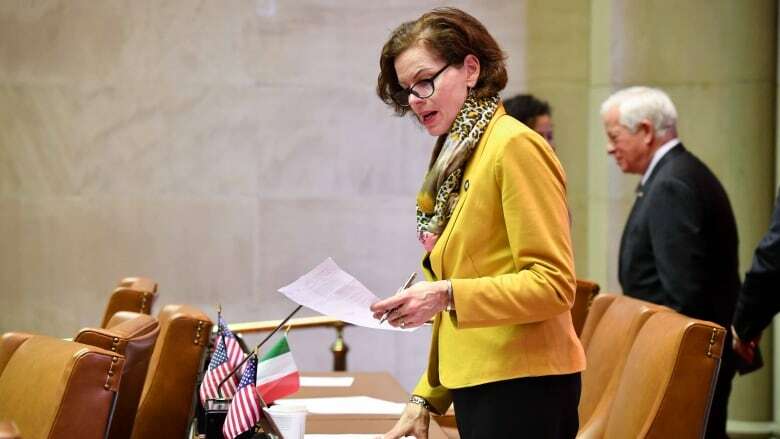 The bill comes in response to the recent rise of measles outbreaks around the world, including in New York state, which has been experiencing its largest outbreak of the disease in more than 20 years. State lawmakers in New York have put forth a bill that would allow teenagers as young as 14 to get themselves vaccinated without their parents' consent. The resurgence of measles, for which there exists and safe and effective vaccine, is due in large part to an increasing number of people who have been swayed by anti-vaccination propaganda and refuse to vaccinate their children, putting them at risk of infection, and contributing to a public health crisis. 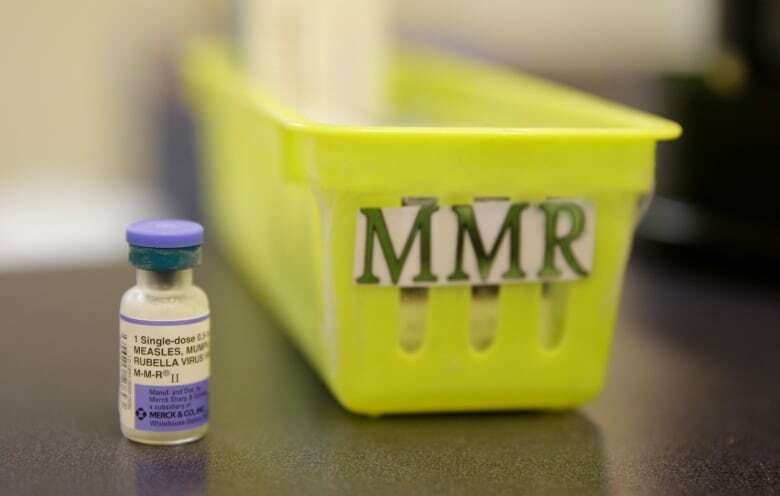 The measles vaccine requires "herd immunity" to be effective, which means that 93 to 97 per cent of the population must be immunized in order to prevent an outbreak. Pat Fahy, the member of the New York State Assembly who introduced the bill, spoke to As It Happens host Carol Off. Here is part of their conversation. Why do you think that 14-year-olds should be able to get vaccinated without permission from a parent? I've been following this for years, that we've had more complacency in this country about immunizations. Fast forward to these last few weeks to read of this increasing outbreak of measles around the country and particularly here in New York state, which has been fuelled by this complacency, as well as some of the conspiracies and concerns about immunizations that have been widely debunked but continue to spread via social media. And then fast forward to last week when we had a remarkable young man, Mr. Ethan Lindenberger, testify before Congress talking about how he can see through some of the misinformation regarding immunizations and preferred to go against his mother's wishes and and seek the ability to get a vaccination. What did he say to Congress? He felt his mother had been unduly influenced by social media and that, as somebody who has grown up with nothing but social media, he had a little bit more ability to see through some of that, and [he] felt that immunizations have been strongly backed and widely endorsed by the medical community for years. It's called the mature youth doctrine, as some refer to it, that he should have that ability to make those decisions with his health provider. This is not new territory. We have some precedence for this in other areas, including with sexual health. We have clinics in many of our high schools where youth can access birth control and other information regarding their sexual health. We also have instances where teenagers can access some mental health services. What did he think she was under the influence of? For about two decades now, we've had very serious concerns posted about the links between immunizations and autism, that's probably been one of the strongest ones. In very recent years, the scientific community has debunked that there is any correlation there, and they have strongly and widely endorsed the need for immunizations. However, again, because anybody can post articles, conspiracies remain, and that has fuelled this complacency about vaccinations and the anti-vaccine movement. And one of the reasons we did this bill is that, after following this and then seeing this most recent alarming outbreak, the World Health Organization has said we are at risk of a public health crisis. Just how serious is this situation in your state of New York now? We don't know if we've hit the height of the outbreak, but we've had a couple of outbreaks in a couple of areas of the state and there have been about 200 confirmed cases. So New York was considered one of the more at-risk states. It's not just for the individual for the youth who's at risk; it is for ... the public at large. Because with measles, it is the most highly contagious of diseases. And it's not just those who have chosen not to be immunized. Any child who may be medically fragile, who is exposed to somebody who has measles, is also at risk. So when parents make these decisions not to vaccinate their child, it's not just their child that they're making the decision for. They are putting the rest of the public at risk. What do you think you can accomplish about this by allowing teenagers to choose to get themselves vaccinated? What we are doing is actually providing a wake-up call. And, by the way, about a half dozen other states have already provided this ability for teenagers to take charge of their own health care on this issue. And it does require a consult with the health provider — you can't get a you can't get a vaccination out of a vending machine. Written by Alison Broverman. Interview produced by Sarah-Joyce Battersby. Q&A has been edited for length and clarity.